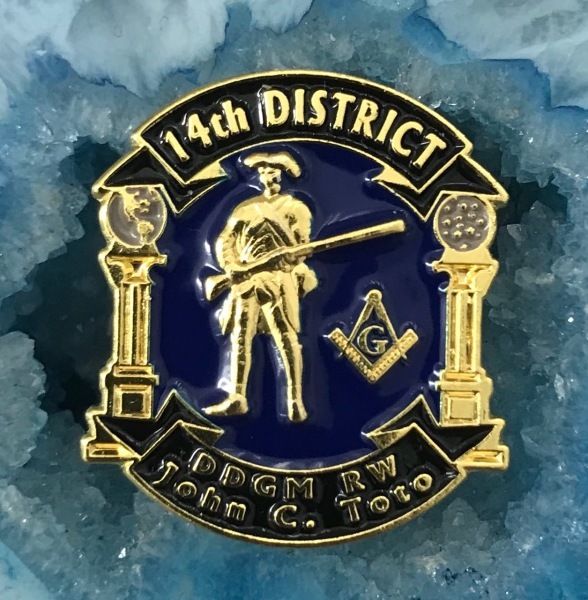 The official 14th District Coin. Thank you for exploring the 14th District of Massachusetts website. 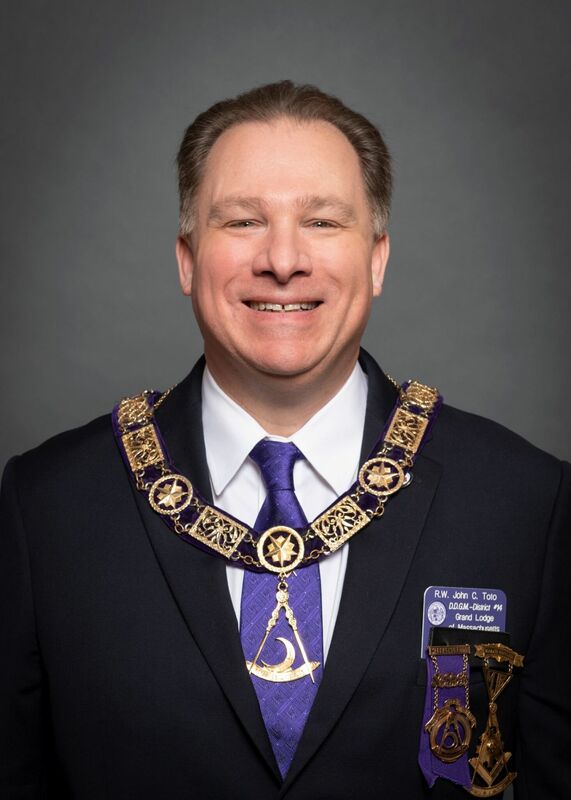 This website is intended to communicate information expeditiously to you relating to the District, Lodge of Instruction (LOI), Lodge Masonic programs, upcoming events, activities and meeting schedules. 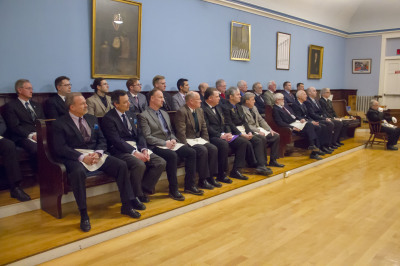 If individual Lodges have events or wish to make announcements please contact the webmaster so we may include. 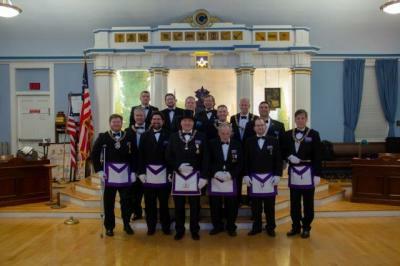 We are fortunate to call ourselves brethren of the 14th District. 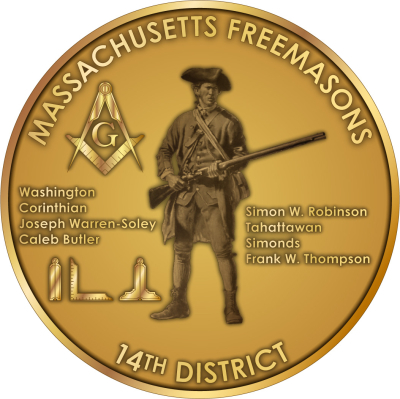 Our District is the most historic within Massachusetts Freemasonry. 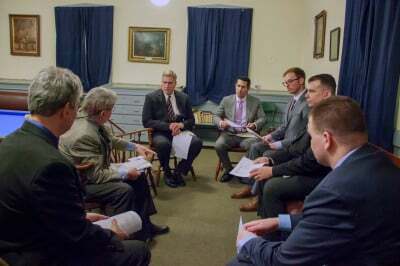 The eight Lodges of the District have dedicated themselves to the Masonic principles of Brotherly Love, Relief and Truth. Their charitable endeavors are to be congratulated and built upon. We must all continue to do the important work of Masonry but remembering Charity is paramount. 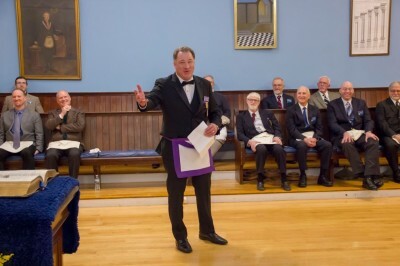 If you have come to this website to explore what Masonry is all about please contact an individual Lodge near you or contact me personally and I will assist or direct you to members who can address any question you may have. Let us continue to seek the blessings of the Great Architect of the Universe and show our worth through our accomplishments and our Masonic endeavors. Masonic labor is purely a labor of love. He who seeks to draw Masonic wages in gold and silver will be disappointed. The wages of a Mason are in the dealings with one another; sympathy begets sympathy, kindness begets kindness, helpfulness begets helpfulness, and these are the wages of a Mason.